Ann Maria Estes (1826-1921) was the daughter of William Estes and Susan Hulett Shelton. She had one child with her first husband, Joseph William Bass, and six children with her second husband, James Clark Hiller. The family moved west, eventually settling in Texarkana, Bowie Co., TX. Ann Maria is buried in Rose Hill Cemetery, Texarkana, Bowie Co., TX. 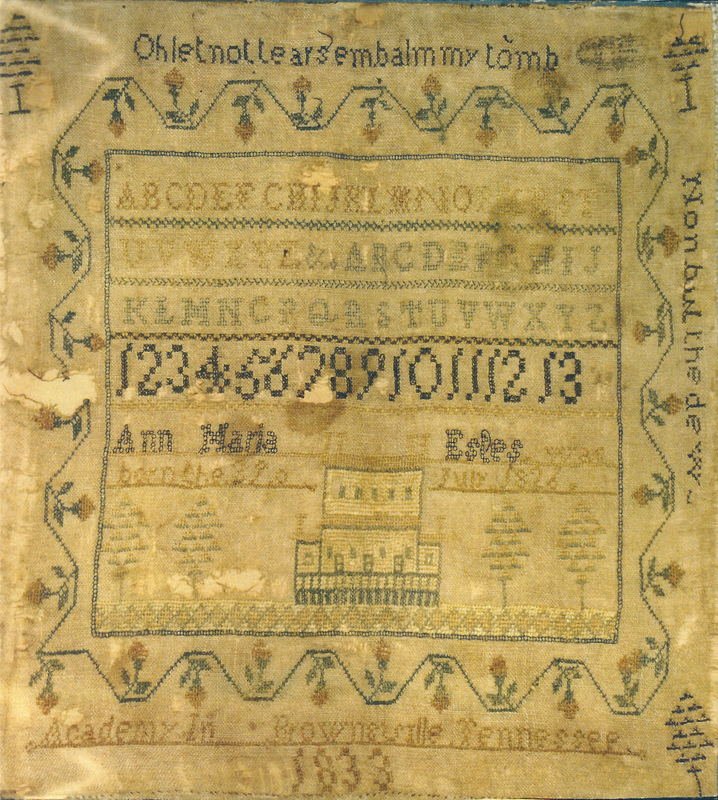 The date of Ann Maria’s birth varies; on her sampler it is 1826, on her tombstone it is 1827, and in the family Bible it is 1828. 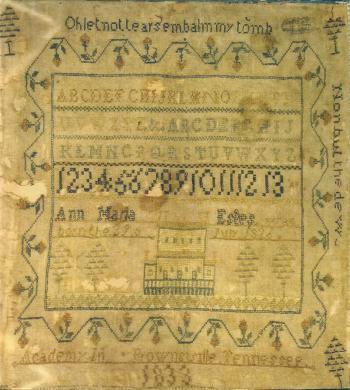 Ann Maria’s sampler has not been documented by TSS and is known only though a photograph. It’s current location is unknown. Photograph courtesy of Annelle Ferguson, Mini Stitches.